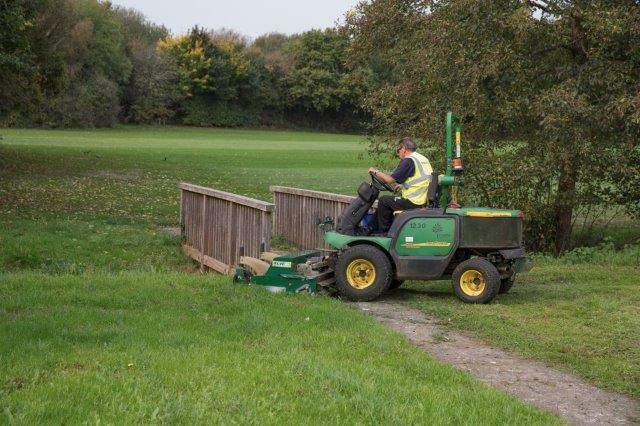 Four Major Synergy out front rotary mower decks are being used by Crawley Borough Council to assist in the maintenance of 2 million square metres of grass areas. Crawley is in West Sussex, around 30 miles south of London and is made up of 13 neighbourhoods, all with a wealth of parks and green spaces for residents to enjoy. In addition to the parks, Crawley Borough Council has roadside verges, cricket fields and school sports pitches to maintain. 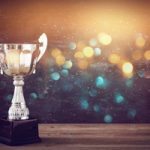 Karl Garnham is the West Patch Team Leader at Crawley Borough Council, where he and his team are responsible for street cleansing, grass cutting and shrub bed maintenance all while making the most efficient use of their budget. The council took delivery of two Major Synergy rotary mowers at the start of the 2017 cutting season. These mowers replaced out front flail mowers that had been previously used by the council for the grass maintenance throughout the region. 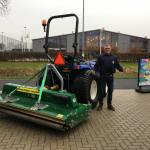 Karl and his team were so impressed with the Major mower’s performance that a further two Synergy mowers were added to the fleet in August 2017. The Major Synergy decks have a 2.0m working width allowing the maintenance team to get through their mowing schedule swiftly and effectively. Karl’s comments are reaffirmed by Raff Napoletano, a machine operator in the West Patch maintenance team. 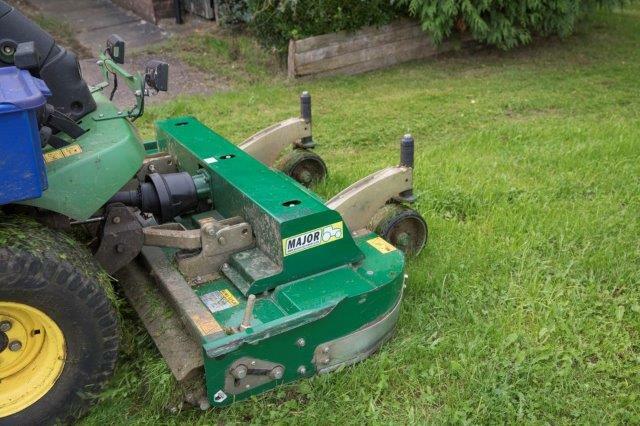 “Although the Synergy mower is 2m, it is easy to manoeuvre which is great when mowing verges. I can work around obstacles such as bins or trees really easily. It cuts really nicely and we’ve noticed a reduction in public reports concerning the quality of cut in the areas where we mow with the Major mowers,” said Raff. 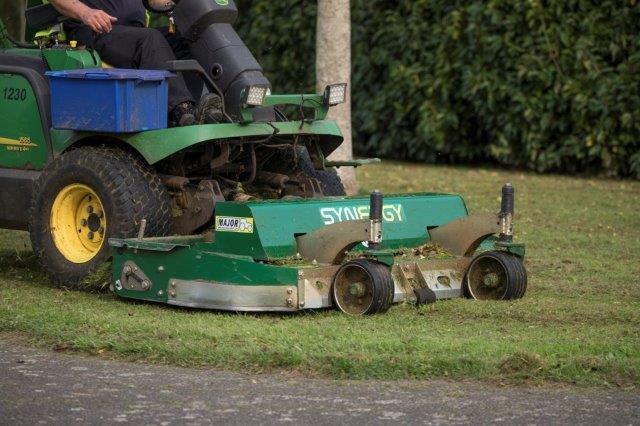 The blade system on the Synergy mower has particularly impressed the team at Crawley Borough Council. 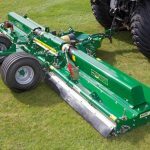 The double chop mulching blades easily cope with heavy grass all while delivering a professional striped finish in fine turf applications. 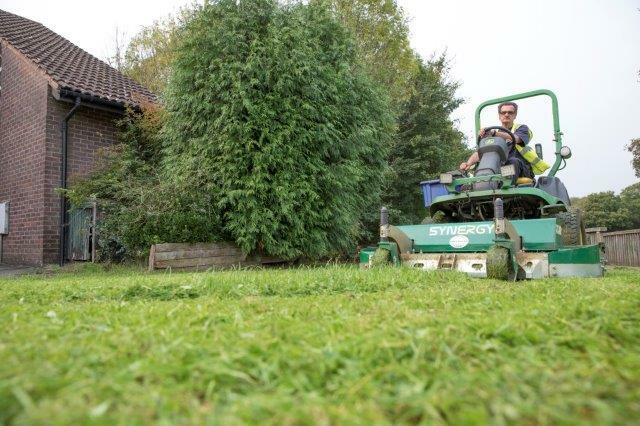 “Overall the Synergy mower is impressively low maintenance and has proved to be a really useful bit of kit. 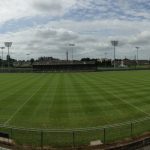 It allows our team complete the grass cutting on time and within budget,” concluded Karl.